Great news! 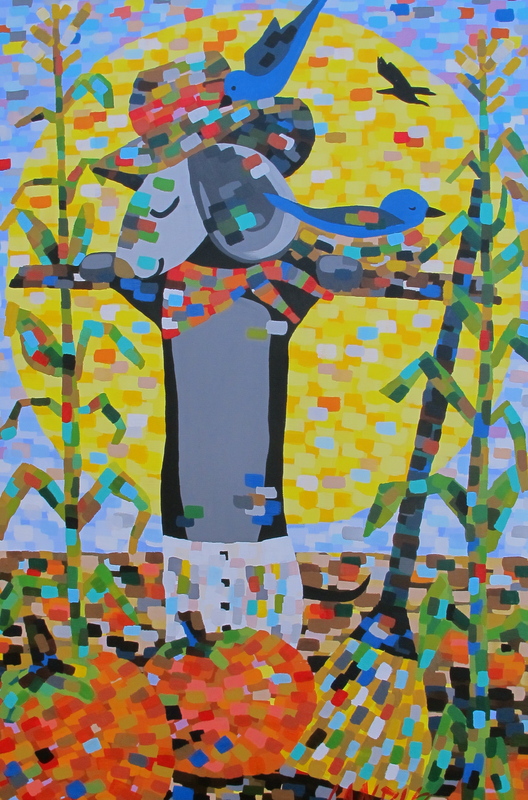 Xanadu Gallery in Scottsdale, AZ is now representing my pointillism paintings at www.xanadugallery.com/Art/ArtistGallery.asp?ArtistID=2204. Per their site, Xanadu Gallery is a resource for collectors, designers, builders, and corporations for procuring the highest quality art. 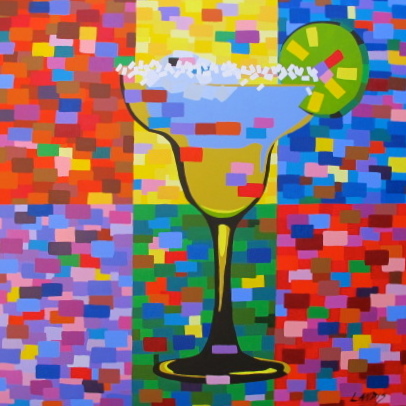 Located in Scottsdale, Arizona, one of the hottest art markets in the country, Xanadu Gallery showcases outstanding artworks in a wide variety of media and styles. Utilizing a comprehensive website, Xanadu empowers collectors to connect directly with artists. I look forward to their representation as I have respected Jason Horejs (Gallery Owner) and his mother Elaine Horejs (Gallery Director) for years. I am hopeful of great results from this relationship. See my studio page and visit the beautiful Xanadu Gallery itself at 7039 E. Main St. #101, Scottsdale, AZ 8525. Meet Jason & Elaine for yourself and you will quickly become aware of their expertise of art and artists. Remember your first tricycle? I wish I could! The tricycle is typically our first venture on wheels independently. So, it’s a very important step in the mind of a child. The portrait’s style of painting is a modern pointillism of circular dabs mixed with some dark identifying lines surrounding the figures. The size is 22 x 30 x .75 inches. I used musical rhythms to keep the dabbing process going without thought. I found that James Brown Music is the best for dabbing! So I rocked out in the studio for this one! I was making some moves I didn’t know I had and singing at the top of my lungs! My husband would stop by the studio door every now and then and say, “Are you listening to that again?”, shaking his head. I must have listened to that CD at least a hundred times! And today, it feel’s good to get the portrait shipped to it’s new home. Hope the kid likes it when he’s a teenager….. Da da da da da da da! There are lots of car lovers out there. Right? 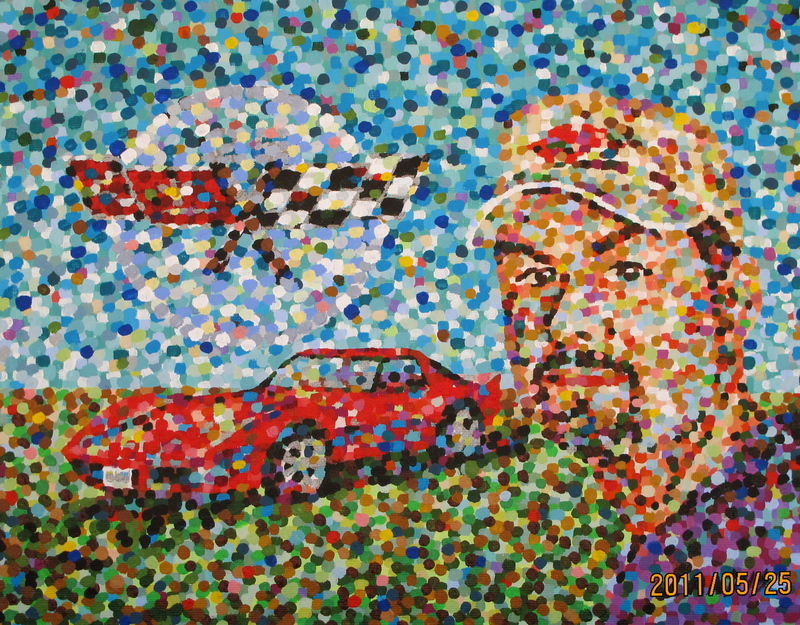 I find that when I ask a man to give me ideas for a portrait, they frequently respond, “Can you paint my car?” Well, why not? We do give our vehicles personalities! Think about your first bike. Did it have a name? Remember the famously named sled, “Rosebud”, in Citizen Kane? Boat lovers are notorious for naming their vessels. If it moves and we ride it, then it will typically get a name. So, if we personalize these inanimate objects with names such as “Bessie”, “Nelly”, or “The Tank” etc., why not consider them subjects for portraits? This week I completed one such portrait as a commission. 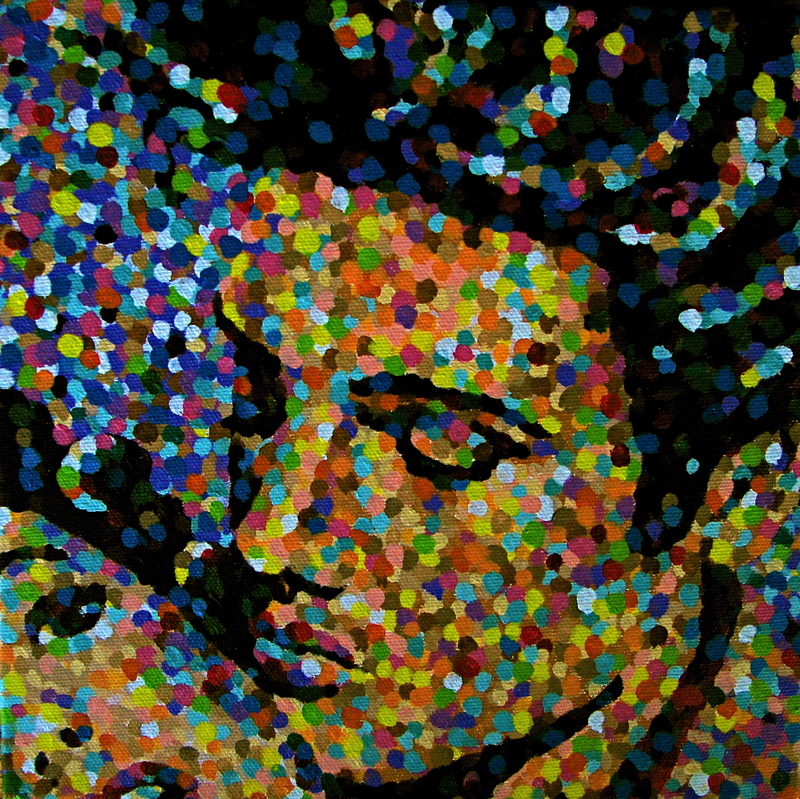 The woman requesting the pointillism painting wanted it as a gift for her husband for Fathers Day. She said, “He would probably prefer a focus on his Corvette more so than himself”. Surprise, surprise! 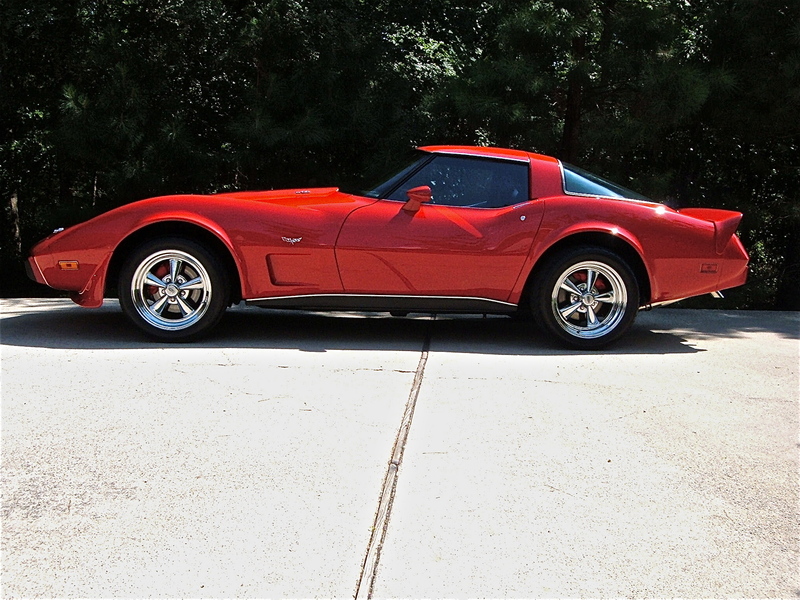 So, in gathering more details, I find that his shiny, red 1978 Corvette won an important trophy for a 25th Anniversary Corvette Competition. She sent photos of this proud man standing handsomely in front of his Chevy winner. More candid photos of the man and various angles of the car arrived shortly. After reviewing each, I chose to create an image taking bits and pieces of several images. I then sent rough sketches of potential portrait designs to the wife. 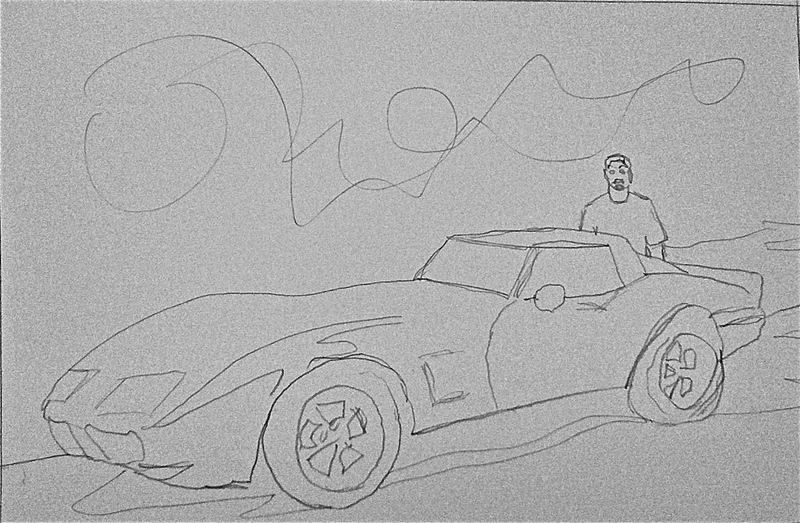 We decided on the Rough Draft #2 design that would include a closeup of the husband and his ‘Vette in the background. 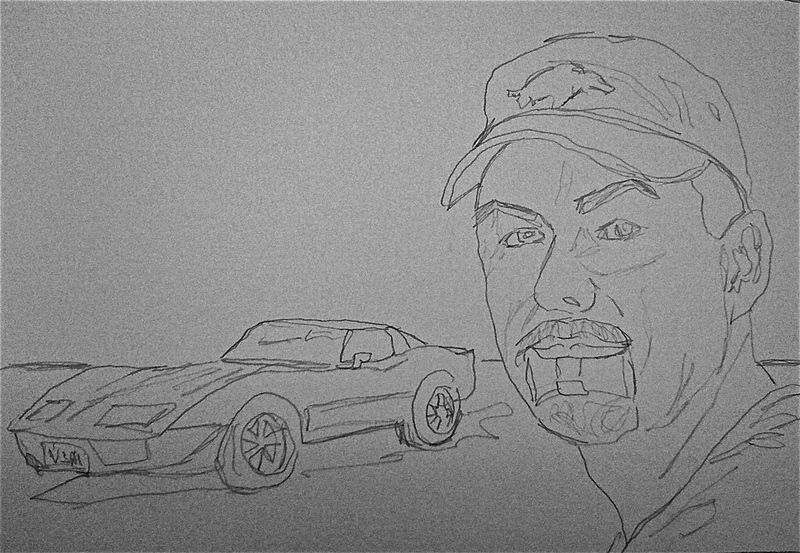 While working on the piece, I chose to add the 25th Anniversary symbol as another emphasis on the Corvette’s importance. Today, the completed portrait was shipped to arrive with plenty time for framing and gift-wrapping by his loving wife. I hope he likes it. She thinks he will! Happy Fathers Day “Vette-Man”! Now, I’m ready for another commission! 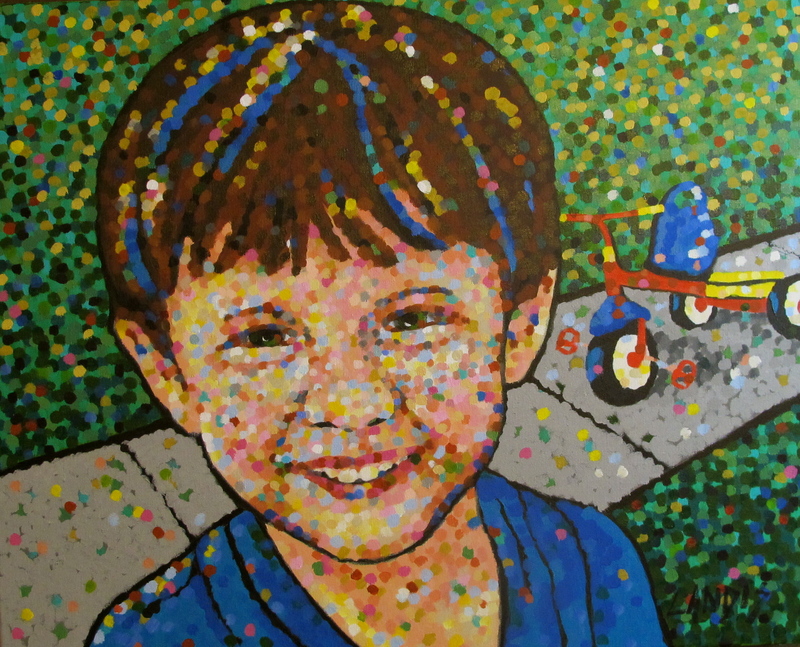 Email me directly should you know a special man, woman, boy, or girl who might enjoy a pointillism portrait of themselves and/or an adored vehicle. Refer specific questions to landis@landisworks.com or in the COMMENTS below. FYI: Here’s John Grant after reciving his Landisworks Pointillism Portrait for Fathers Day 20011. His wife writes,“John really liked the painting. I think he wants to put it at the office instead of home. If it is at the office then more people will see it. He has pictures of the car and trophies at the office so would be a good for conversation”. Elvis.com is sponsoring the art contest Elvis in 1956: A Creative Celebration of Elvis’ Revolution and selected my “Kissing Elvis” pointillism portrait as one of the 56 finalists! The winner will receive tons of prizes including a trip to 2011 Elvis Week in Memphis, tickets to Viva Elvis from Cirque Du Soliel in Vegas, and a cabin on the 2011 Elvis Cruise!